Torture is used to coerce confessions during the investigative stage of criminal justice proceedings, often shortly after arrest or initial detention and is often the simplest means by which to expedite the investigative process. 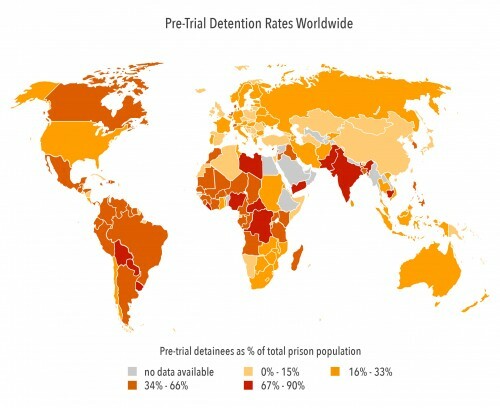 Of the approximately 10.7 million people detained globally (Sep 2018), those held in pretrial detention (more than 2.5 million) face the most significant risk of torture and other forms of ill-treatment. Pre-trial detention exposes countless individuals to horrific conditions and abuse, often for months or years, before any hearing on the merits of their case has been held. Though pre-trial detainees have not been found guilty of any crime, they are still deprived of their freedom, either because they cannot afford bail or because bail has been denied.